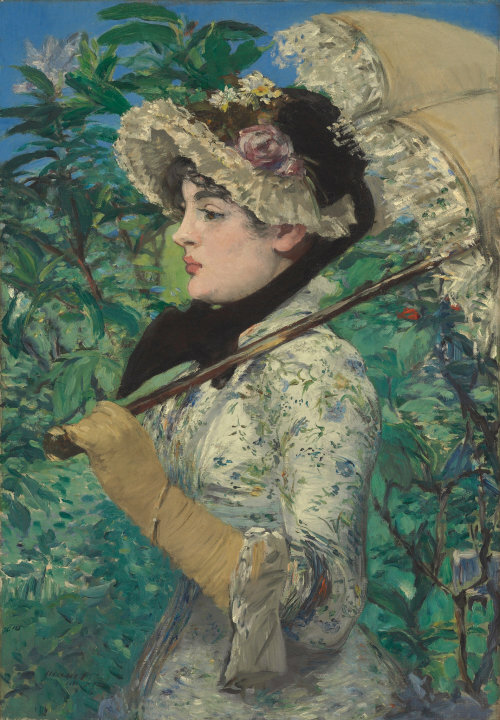 Édouard Manet’s painting Spring has just joined the collection of the Getty Museum. Packed with dozens of colorful blooms, it depicts demi-mondaine Jeanne de Marsy, who modeled for Manet as well as Renoir. 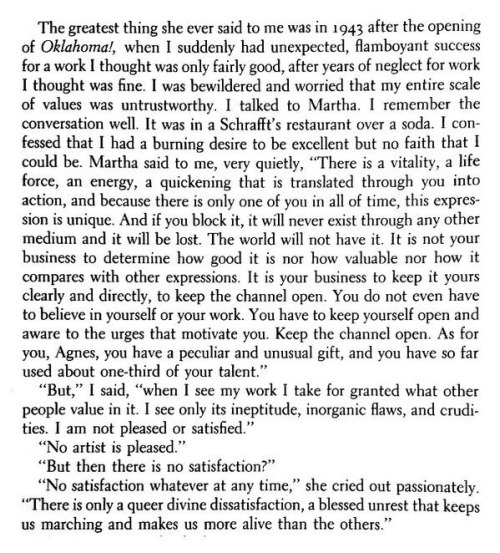 Jeanne was “beautiful, dainty, smartly dressed, shameless and impudent, a butterfly of the boulevards,” in the words of 19th-century art critic Adolphe Tabarant. And what a nose! 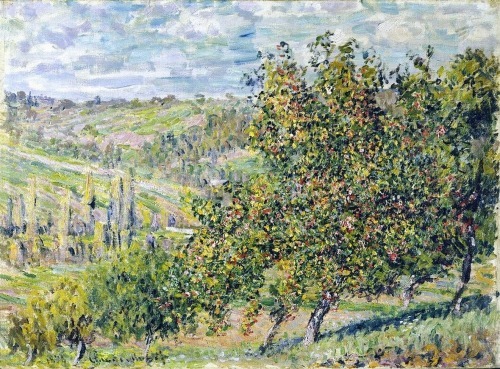 One of five or six motifs that Monet worked on outdoors in the autumn of 1878, were apple trees. 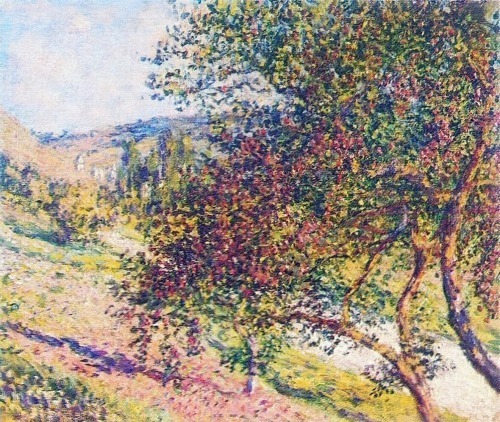 Monet produced four paintings in this series. The first two were made in the Vienne-en-Arthies valley, east of Vétheuil. Through the foliage, the Millonets hamlet can vaguely be seen. On the third one, Vétheuil is visible in the distance. The fourth and last painting of this group is my favourite. 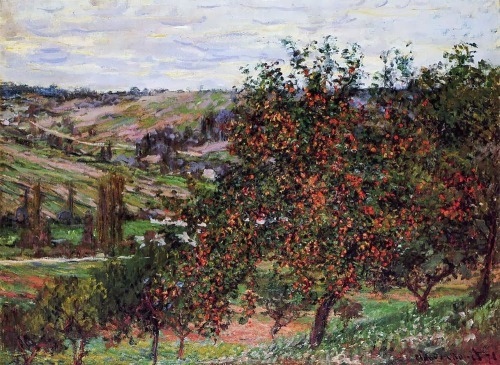 I posted it last month: “Pommiers sur la côte de Chantemesle (Apple trees on the Chantemesle Hill)”. 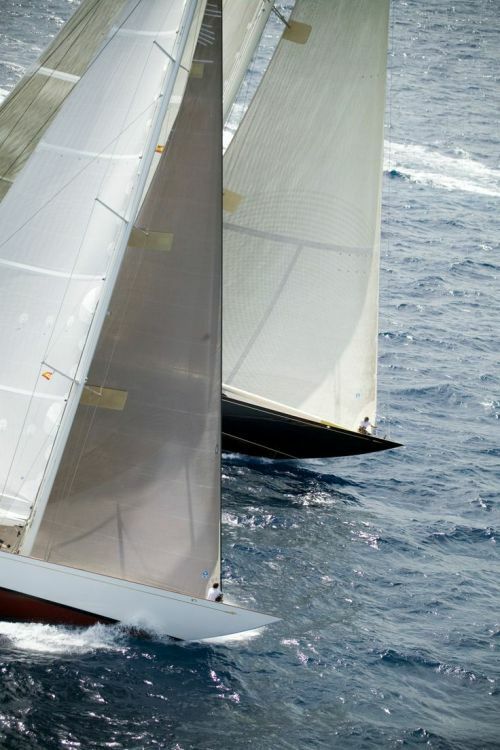 Wouter is a navigator, one of the best, and firmly falls into the category of a superb yachtsman and navigator. One who understands the strengths and limitations of digital tools more than most will ever do. And one of the nicest guys in the sport to boot. Mistakes happen. Just glad they are all safe and uninjured. 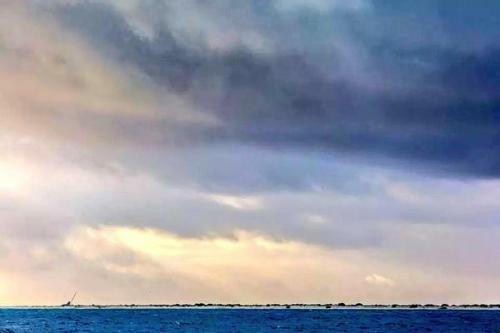 Vestas Wind on the reef at Cargados Carajos shoals, Mauritius, shortly after sunrise on November 30, 2014. The photos were taken from Alvimedica, on the west side of the reef, and posted to the @TeamAlvimedica Twitter account. 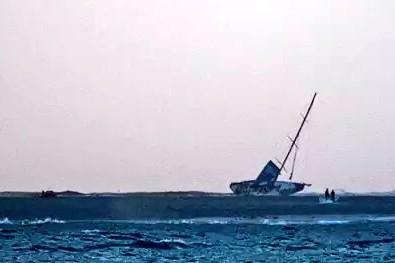 After the Vestas crew were successfully rescued and had reached shore, Alvimedica resumed racing toward Abu Dhabi. Based on the small amount of information to come out so far, there is a tiny chance that the boat can still be saved. If that happens, the team could make repairs and ship the boat to a future stopover — maybe Auckland? — so the crew could resume racing there. But it’s unlikely. The location where they went aground is too remote, and every hour that passes before a salvage vessel reaches the scene reduces their chances. It was near high tide when they went aground, which may have bought them a few hours, but the weather shore of a coral reef with an ocean swell breaking on it is not a place where a boat can survive for long. There is no other boat for them to use. 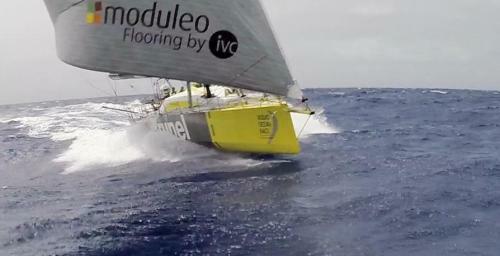 The race is strictly one-design, and only seven Volvo Ocean 65s have ever been built. There has been talk of building several more for the next race three years from now (along with re-using the current ones), assuming the race can attract sufficient sponsors for that. But for this race, Team Vestas Wind is probably done. 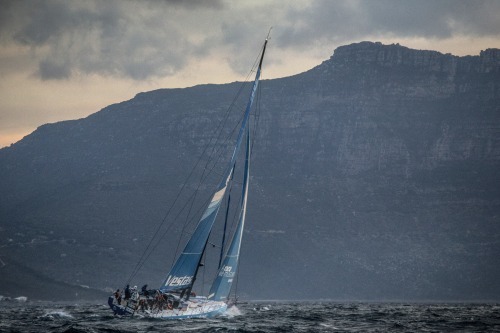 Race Control has had it confirmed that the Team Vestas Wind crew has now been rescued and will stay on the Íle du Sud, where there is a house and some facilities. All the crew is safe and nobody is injured. It’s explicit in the racing rules that safety comes before competition, but the rule is kind of an afterthought; it’s just a fact that sailors at sea are going to stop and help each other regardless of what’s happening with the race. There’s a lot of history, in the Volvo/Whitbread and other races, of boats suspending racing to help competitors in distress. And just as a practical matter, the places this particular race goes, a lot of time the competitors are going to be the closest available aid. The race control jury will meet and probably will come up with some kind of make-good such that Alvimedica isn’t penalized for helping. It could be that Alvimedica is awarded points for the leg consistent with the position they were in when they suspended racing. Or they may be allowed to resume racing with a time adjustment they can subtract from their finish time to account for the time spent assisting Vestas. Or something else. 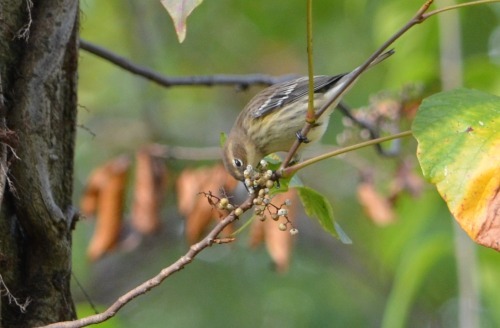 The birds (these yellow-rumped warblers and the Northern flicker) were really going for these berries today. 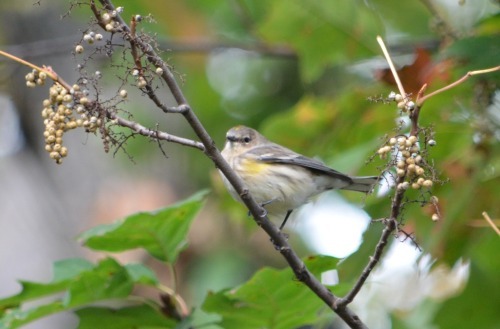 The last photo isn’t very good but I included it to show the start of a gold crown patch as well as the white tail outlined in black, additional field marks. Some new videos have been posted that give a little more information about what’s going on aboard Vestas Wind and Alvimedica. Call With Charlie Enright Regarding Team Vestas Wind Grounding (official VOR channel) – Genny Tulloch in Alicante interviews skipper Charlie Enright aboard Alvimedica. 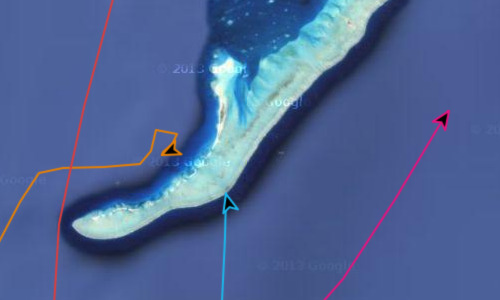 Alvimedica is currently motoring a few miles away from the wreck, just on the other (downwind) side of the reef. A Long Night Ahead – Team Alvimedica Talk with Team Vestas (Alvimedica channel) – On-board video from Alvimedica, including radio conversations between them and the crew aboard Vestas. Dongfeng Race Team’s reaction to Team Vestas Wind running aground (Dongfeng channel) – Comments by bowman Kevin Escoffier and skipper Charles Caudrelier aboard Dongfeng. Caudrelier’s comments, in particular, shed light on their own (late) discovery of the islands in their path: You have to zoom in closely in the navigational software to even see that the islands are there. In the old-school style of navigation I did growing up, you have to refer to the large-scale chart, not just the small-scale chart. I guess it’s an example of the sneaky way that technological advance can create new risks. Electronic charts are superior in many ways, but the old technology had centuries of hard-won experience baked into it. 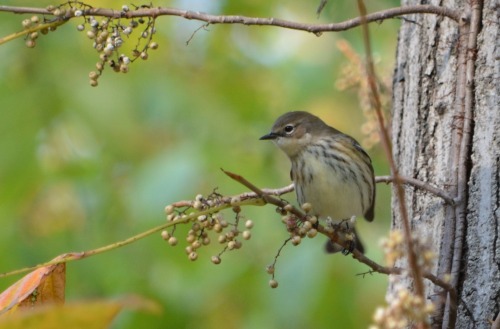 It takes time (and tragedies like this) to relearn old lessons when the technology changes. The final video update from Vestas Wind. I think of all of them, Vestas was the prettiest. It’s too soon to mourn the boat, and the safety of the crew currently waiting for sunrise to escape the wreck is obviously way more important. There isn’t much information available so far. Below the cut is a timeline of what happened when, with timestamps in UTC and local (Mauritius) time. 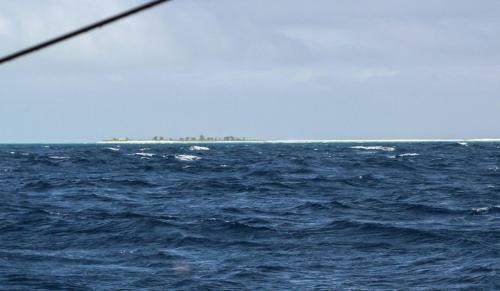 0200 UTC (0700 Mauritius): Yann Riou on Dongfeng quotes skipper Charles Caudrelier in a tweet: “@Ccaudrelier : an island in the middle of nowhere, but in the middle of our course. Small navigation error that costs us 2 miles.” Dongfeng was about 50 miles south of the archipelago at the time, making me suspect that they picked up the problem from their charts, rather than from a visual sighting (though I guess it’s possible they spotted a cloud pattern that alerted them to the islands’ presence). 1054 UTC (1554 Mauritius): Yann on Dongfeng tweets the top photo above, saying, “Can’t find the name of the archipelago we sail along. But it looks nice… #dfrt #vor”. 1525 UTC (2025 Mauritius): The “live” tracker app, which shows boatspeed and heading averaged over the previous 15 minutes, shows a sudden drop of speed on Vestas from 18 knots to 8 knots for this time. That tracker data is not yet publicly visible, however. 1645 UTC (2145 Mauritius): The “live” tracker app data updates to show the 1525 speed drop by Vestas, with the boat’s track subsequently dropping to 1.3 knots of indicated boatspeed and an odd SE heading. User Alinghi4ever on the Sailing Anarchy forums points out the anomaly. 1702 UTC (2202 Mauritius): User grandsoleil on Sailing Anarchy correlates the boat’s position with Google Maps imagery on the fan tracker maintained by user Volodia, speculating that Vestas may be on the reef. At 1510 UTC, Saturday, November 29, Team Vestas Wind informed Race Control that their boat was grounded on the Cargados Carajos Shoals, Mauritius, in the Indian Ocean. Fortunately, no one has been injured. The crew has informed Race organisers that it now plans to abandon the boat as soon as possible after daybreak. 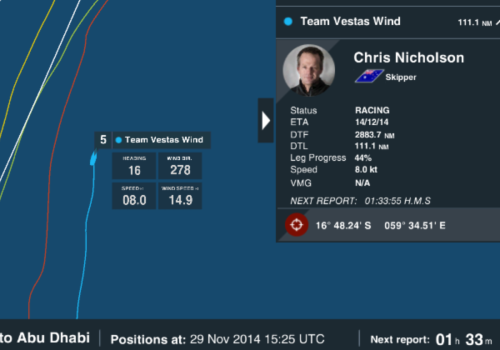 Team Alvimedica and two other vessels are in contact with Team Vestas Wind to assist. Team Alvimedica has now arrived at the site, is in radio contact with Team Vestas Wind and standing by to assist Team Vestas Wind, waiting for daylight. 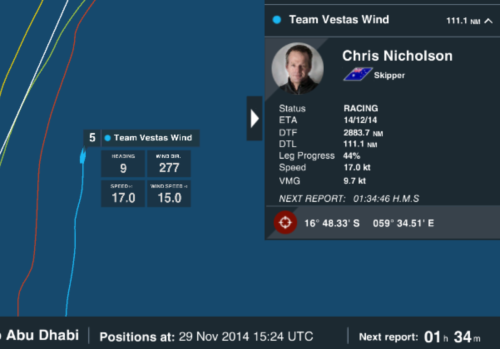 Race Control is in contact with Team Vestas Wind every hour. The situation is currently stable on board and the crew plans to remain on board until daylight. There is also contact established with a coastguard station on Isle de Sud, approximately 1.5 km from the boat, which has a RIB available. The plan is for this vessel to assist in abandoning the boat as soon as possible after daylight. Both rudders have been reported broken by the Team Vestas Wind crew. The team has also reported water ingress in the stern compartment. The Volvo Ocean 65 has watertight bulkheads in the bow and the stern. The remaining part of the boat is intact including the rig. We will update as soon as we have further information. 2140 UTC (0240 Mauritius): Official tracker update and Volodia fan tracker (bottom image above) shows Alvimedica standing by to assist on the west side of the reef, while SCA, having been informed their assistance isn’t needed, sails past the location of the grounding to the east. Team Vestas Wind reported that they had now deployed two life rafts as the stern of the boat was being beaten on rocks of the reef. The bow is pointing out to sea. The team added that they were keeping the life rafts some 15 metres from the boat, which the crew could reach if necessary. There were no plans to do this yet but the life rafts had been deployed now as they may not be able to do so later. The current plan remains to abandon the boat at daylight with the assistance of the coastguard at Íle du Sud as well as Team Alvimedica. We will update you further as more details become available. 2341 UTC (0423 Mauritius): Official VOR YouTube channel posts a video of CEO Knut Frostad summarizing the situation. 0119 UTC (0619 Mauritius): (Roughly 1.5 hours from now, at the time I’m posting this.) Local sunrise. This is the time when the local coast guard authorities (who reportedly have a rigid inflatable boat with twin engines on the island nearby) have requested the Vestas crew be prepared to abandon the vessel. And that’s pretty much it as of now. There’s no official word about trying to salvage the boat. Doing so before it breaks up would probably require a decent-sized seagoing tug, which might not be possible to get on-site fast enough. But for now all the focus is (rightly) on rescuing the crew. 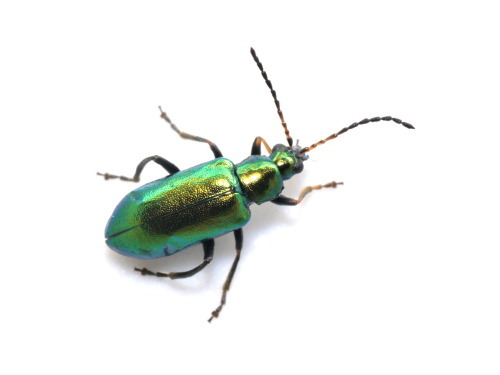 This tiny (5mm) leaf beetle is common in moist forests throughout the Pacific Northwest west of the Rockies. 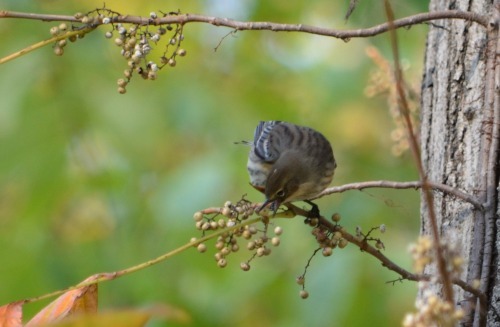 They seem to be particularly fond of hanging out in Hydrophyllum flowers. Wouter must feel awful. What could have happened? My man-crush Yann Riou on Dongfeng, always in position for the great shot: This one of Brunel, crossing behind them around 0601 UTC today (November 29), as both boats were negotiating the eye of the tropical depression. The depression turned out to be weaker than it might have been; there was a decent swell and 30+ knots of wind, but not the storm conditions I’d been guilty of hyping. Each boat in the fleet sailed in toward the center of it on starboard, then gybed and headed out on port. The fleet stretched out in the process, which was good for the leaders but really bad for the three trailers (Vestas, Alvimedica, and SCA), though Campbell Field, who’s been blogging about the navigation and routing, thinks SCA will be pulled back close before the end due to the fleet compressing as it hits lighter wind to the north. 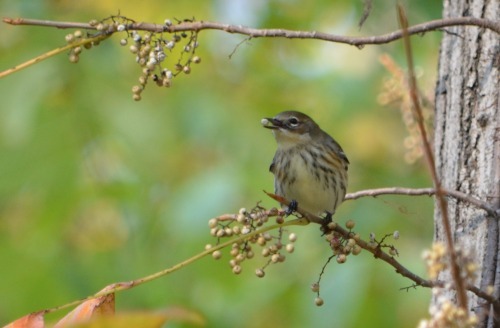 You are currently browsing the lies.com weblog archives for November, 2014.